MTA finally celebrated opening 2nd avenue subway with 3 new stations. 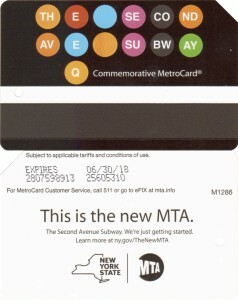 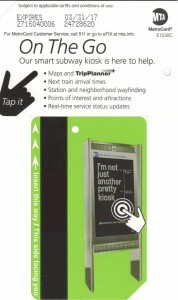 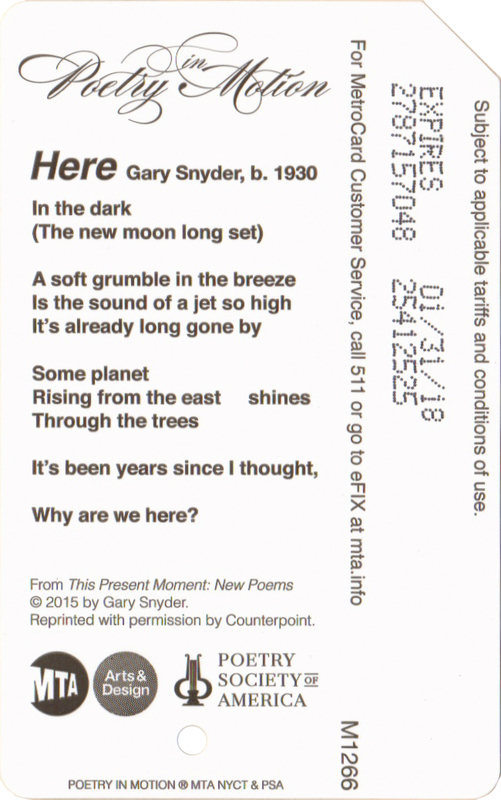 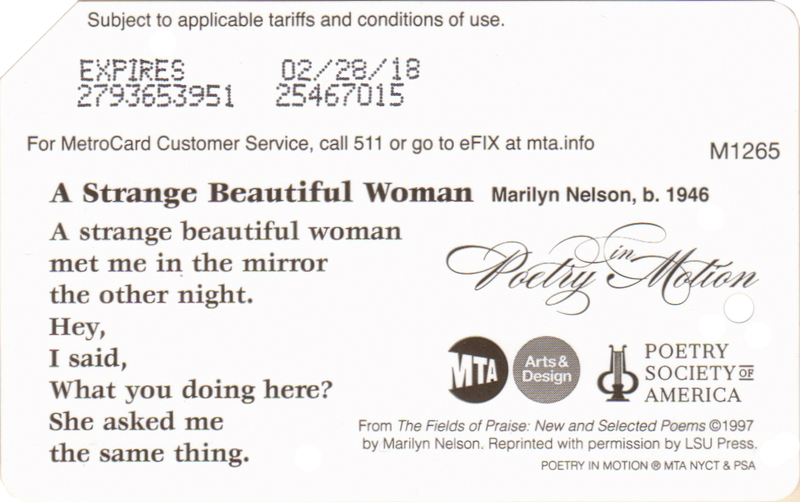 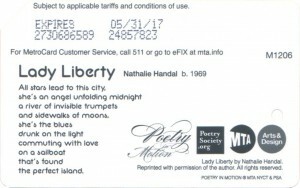 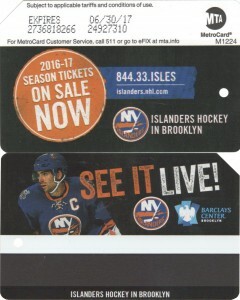 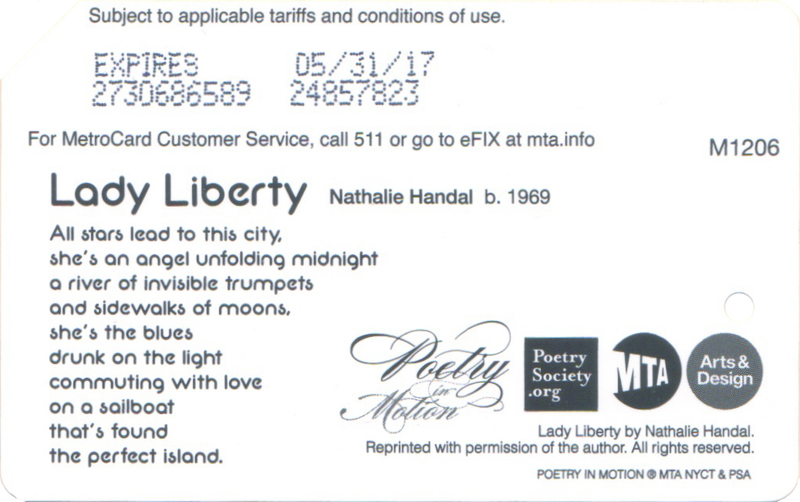 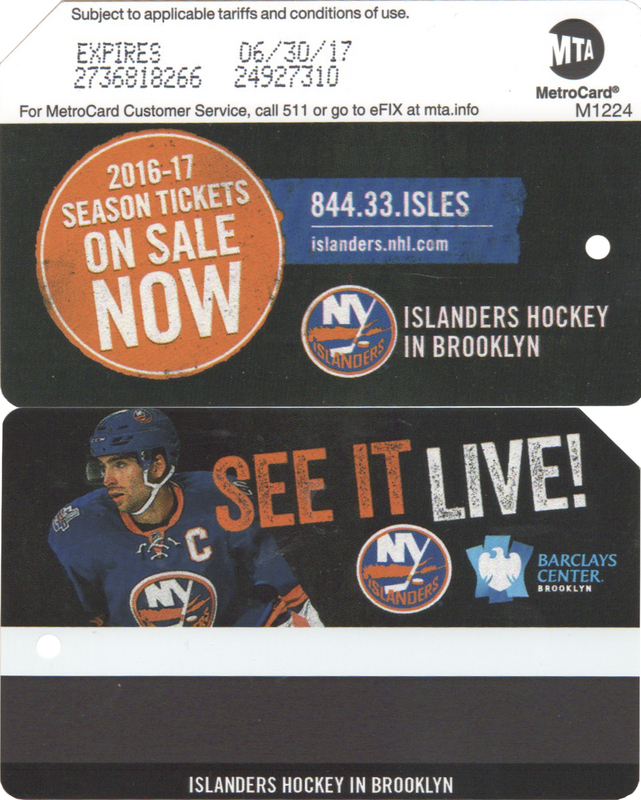 There was also 100% matching metrocard holder given out during previews on each station and during New Year celebration at 72nd street station. 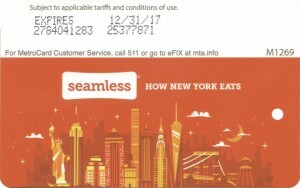 Seamless food delivery service advertisement. 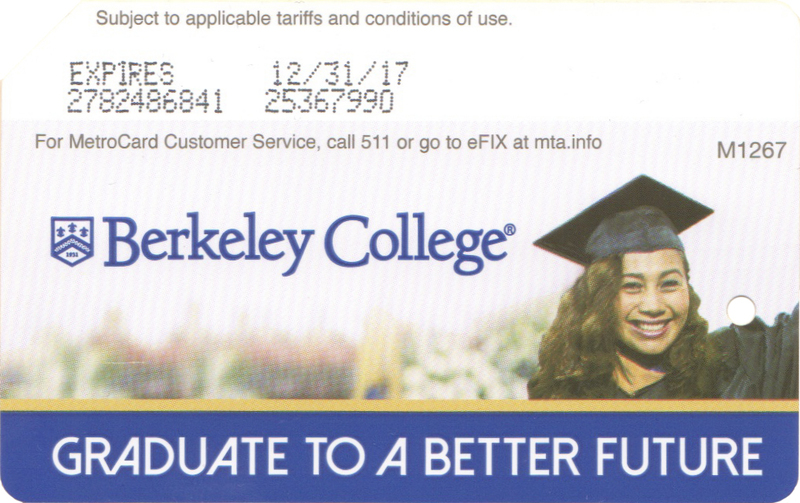 Another advertisement by college, this time by Berkeley College which has branch in New York. 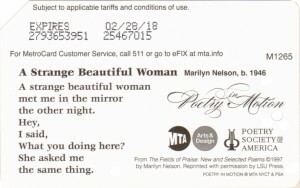 Card is scarce to find. 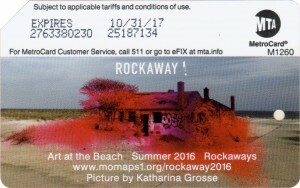 Destroyed by hurricane Sandy house on Rockaways beach was transformed as art installation by Katharina Grosse. 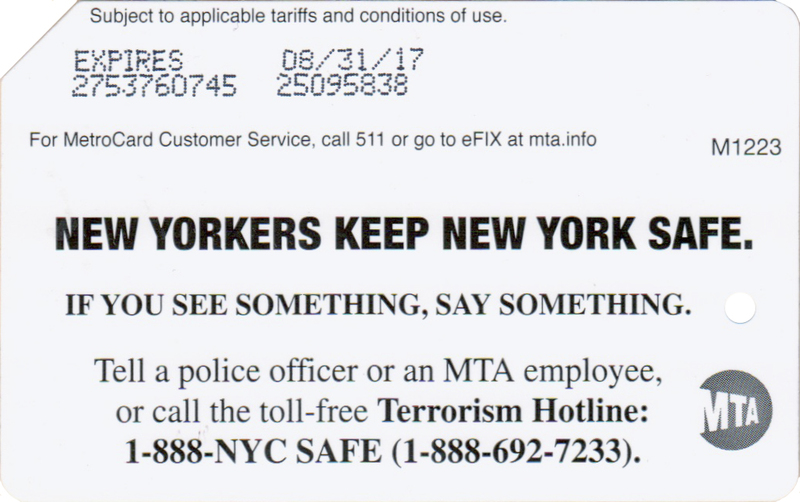 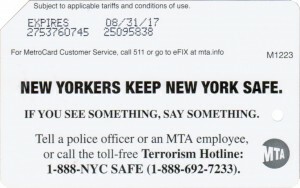 Newest variation of ‘If you see something, say something’ campaign which was featured photos of New Yorkers people who said something. 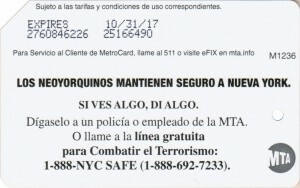 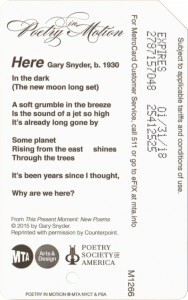 There are 2 versions – English and Spanish.